The ensemble’s introduction to the international music community was expedited by their acclaimed performances at the Darmstadt Summer Courses for New Music in 2010 and 2012; in 2012, Dal Niente became the first-ever ensemble recipient of the coveted Kranichstein Music Prize and was invited to give the 2014 festival’s culminating performance in Darmstadt, Germany. Recordings of Dal Niente’s performances of new and recent repertoire have been released on the New Amsterdam, New Focus, Navona, Parlour Tapes+, and Carrier labels. The ensemble also shares performance videos and discussions with their audience through YouTube and other social media. Dal Niente’s outreach includes educational activities of all kinds, exhibited most commonly in university settings with composition workshops, masterclasses, discussions, and performances. The ensemble’s residencies have included work with faculty and students at various universities including Northwestern, Chicago, Harvard, Stanford, Indiana, Illinois, and Western Michigan, among others. The ensemble’s name, Dal Niente (“from nothing” in Italian), is a tribute to Helmut Lachenmann’s Dal niente (Interieur III), the revolutionary style of which serves as an inspiration for its musicians. 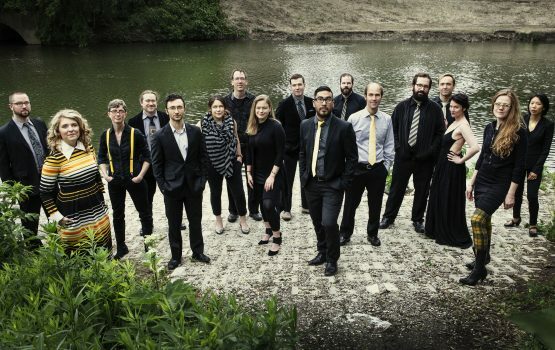 The name also references its humble beginnings — founded in 2004 by a group of student composers at Northwestern University, the ensemble has risen from obscurity to a position as one of North America’s most prominent new music groups.